Yogis, for the most part, aren't known for competitiveness on the mat. 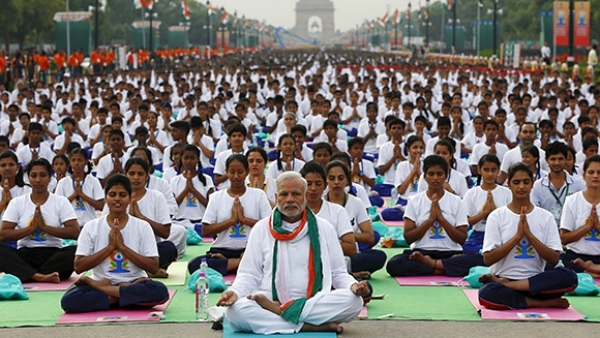 But once in a while, yogis around the world get together to try and set yoga-related world records. Some do it for fun, some for fame, and some do it to promote yoga and its benefits on the world stage. Here are six Guinness yoga world records we found interesting, amusing, inspiring, or all three. Laughter is good for you, and so is yoga. In September 2015, 1,028 happy Hong Kongers LOL'd their way into the record books when they participated in the world's largest laughter yoga class. You're never too old to do yoga, as Canadian Ida Herbert showed when she broke the world record for oldest yoga instructor. The 96-year-old yogi regularly teaches to a group of older women who call themselves “Ida's Girls.” Previous record holders include Bernice Mary Bates and Tao Porchon-Lynn. Avid practitioners say doing doga or dog yoga helps them relieve stress while forming a stronger bond with their furry friends. 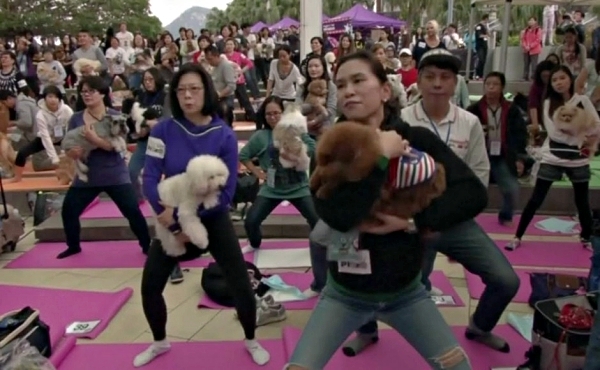 In January 2016, 270 of them (and their dogs) got together in Stanley Plaza, Hong Kong to break the world record for the largest doga class. The male record holder for longest yoga marathon, Dr V Gunasekaran of Tamil Nadu, India practiced a variety of yoga positions for 69 hours straight. Canadian Yasmin Fudakowska-Gow's attempt in 2010 lasted 32 hours, during which she performed 1,008 asanas. She continues to hold the record for longest yoga marathon in the female division. 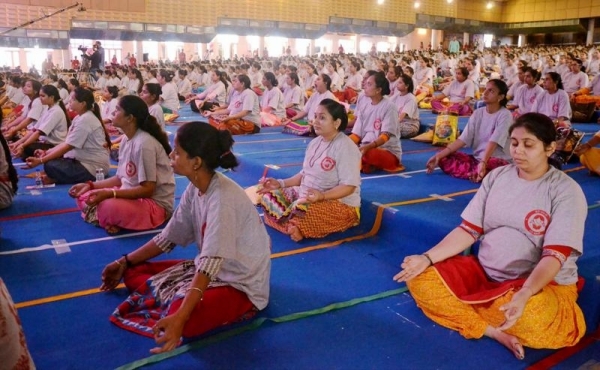 As part of International Day of Yoga Celebrations, 35,985 people joined together to set the record for the largest yoga class in a single venue. The history-making event was held on the famous Rajpath in New Delhi, India. Four yoga instructors led the massive class via 32 LED screens scattered around the venue. Did these yoga world records get you feeling inspired about your own practice? Let us know in the comments!